Documentary filmmaker Deia Schlosberg was only doing her job when she was arrested while filming an activist shutting down a tar sands pipeline in North Dakota, she told RT America's ‘News with Ed.’ She is facing 45 years in prison on felony charges. Schlosberg was arrested in Walhalla, North Dakota, on October 11 for filming activist Michael Foster — a member of the group known as Climate Direct Action — as he shut off a valve of a Canadian tar sands pipeline. 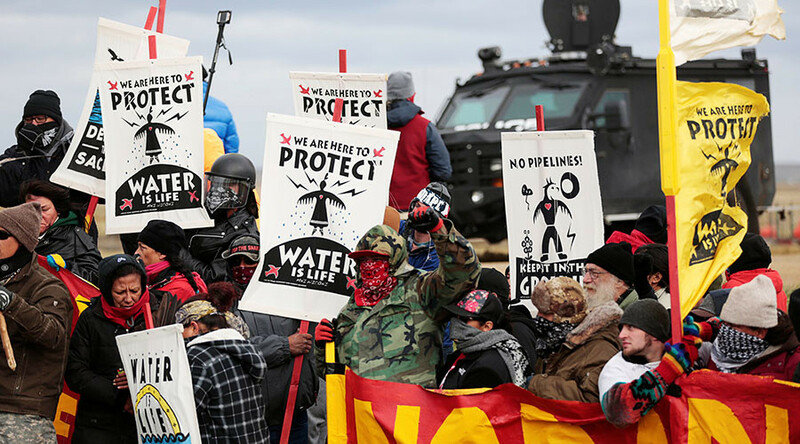 In solidarity with protesters opposing the Dakota Access Pipeline in North Dakota, activists shut down similar valves in Washington, Montana, and Minnesota on the same day. 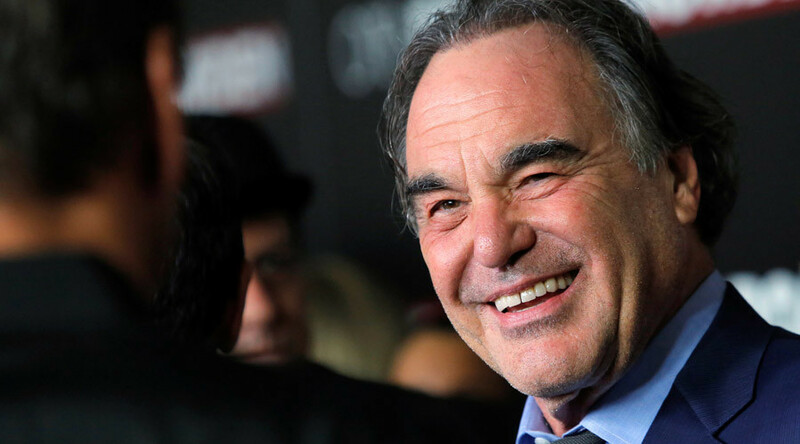 However, authorities in North Dakota have charged the filmmaker with two Class A felonies and one Class C felony, including conspiracy to theft of property, conspiracy to theft of services, and conspiracy to tampering with or damaging a public service. "From the beginning, I was just dumbfounded by the charges," Schlosberg told RT America's Ed Schultz. "They seem to come from out of nowhere." She said she understood the "unprecedented nature of this action and knew that it wasn't likely to be covered by mainstream media." "I was doing my job," she added. "I was documenting a climate action." What precipitated her arrest is difficult to discern, she said. "I was there? I was documenting and they didn't know what my involvement was. I told them I was a filmmaker and that I was filming from public property, and they still put me in jail for 53 hours and (charged) me with three counts of conspiracy, which are all felonies." The trumped-up charges against Schlosberg may stem from a sense of panic among officials and law enforcement in North Dakota, where the Standing Rock Sioux tribe has led demonstrations to block the $3.78 billon, 1,172-mile Dakota Access Pipeline (DAPL). 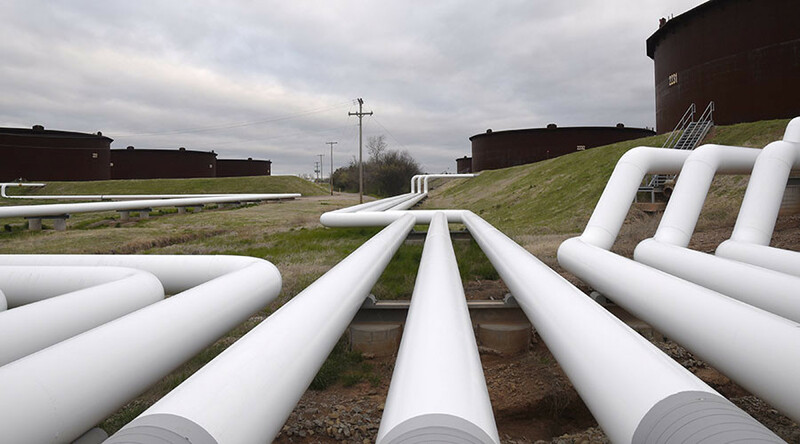 That pipeline is expected to carry nearly half-million barrels of fracked crude oil daily from the Bakken oil fields in North Dakota, under the Missouri River, then through South Dakota and Iowa on the way to an existing pipeline in Illinois. 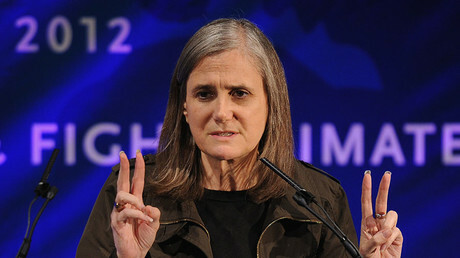 Schlosberg's arrest also came at a time when North Dakota prosecutors were pursuing trespassing and riot charges against Democracy Now journalist Amy Goodman for her work covering the DAPL protests. "I think North Dakota is in a state of emergency, and I think everything is elevated there, tensions are elevated," Schlosberg said of her charges. "But, two other (documentary) filmmakers who were filming the same action that was happening in Washington State at a pipeline there also were charged with felonies." 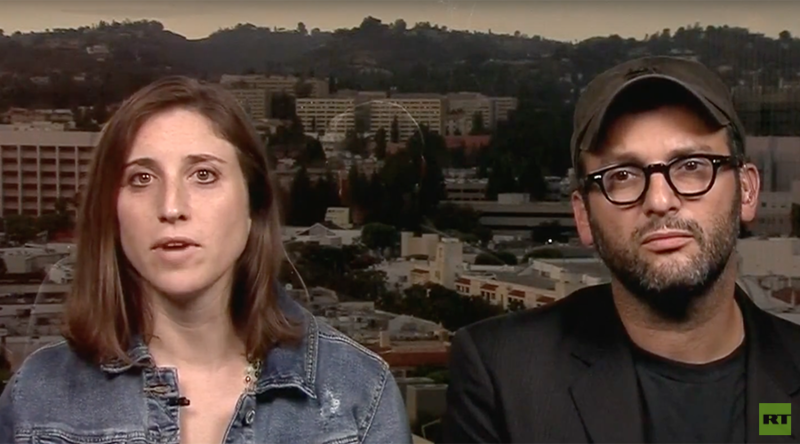 The filmmakers arrested in the Washington state action are Lindsey Goodwin-Grayzel and her photographer Carl Davis, who both face felony charges for robbery and trespassing for filming an activist as he broke into a Trans Mountain Pipeline facility in Skagit County. They each face a maximum penalty of 30 years in prison, a fine of $46,000, or both, according to the Committee to Protect Journalists. Schlosberg, the founder of the Pale Blue Dot Media Company, produced Josh Fox's new climate change documentary, 'How to Let Go of The World And Love All the Things Climate Can't Change.' Fox's acclaimed 2010 film 'Gasland' — a documentary exposé on the impacts of hydraulic fracturing, or fracking — was nominated for an Academy Award for Best Documentary. Never in all his work, which has taken him around the world, did he see such a punitive reaction to documentary filmmaking, Fox told RT. "I never thought her gravest threat would be from our own government and from the police," he said, adding that Schlosberg's treatment is part of an intimidation campaign in North Dakota. "It's clear that this state is trying to repress journalism," Fox told RT. "It's doing something that is essentially immoral and we believe should be illegal. It is against the First Amendment to arrest reporters who are simply trying to bring the public a story that they need to hear because the mainstream media is not covering it. And, you know, I don't think the mainstream media would be talking about fracking, or Standing Rock [protests over the DAPL], or any of these issues if it wasn't for documentarians like the amazing Deia Schlosberg sitting next to me and a lot of other citizen journalists who are bringing these issues to the fore." An online petition with more than 26,000 signatures has called for the charges filed against Schlosberg to be dropped.